Aloha! We will be giving away free Maggie Joe t-shirts or hats to all father’s who spend Father’s Day Weekend with us on a deep sea fishing or shark fishing charter. Upon booking a charter with us, just let the sales representative know how many fathers will be fishing with us on your fishing trip and whether they would like a t-shirt or hat. Have a great Father’s Day! Aloha! Great video of some night time shark fishing aboard the Maggie Joe outside of Waikiki, Oahu, Hawaii. Mahalo to Mitchell for sending in the video. 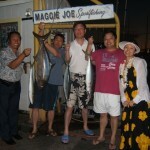 Everyone, please send in video’s of your fishing trip on Maggie Joe and we’ll get you up on the website. Above is a great video of some fun winter time sport fishing aboard the Maggie Joe. It doesn’t get any better than deep sea fishing here in beautiful Honolulu, Hawaii! 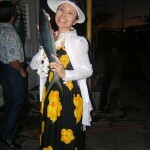 Mahalo to Chunhui, Jian, Michelle and Guojun for joining us on a deep sea fishing adventure on Oahu. 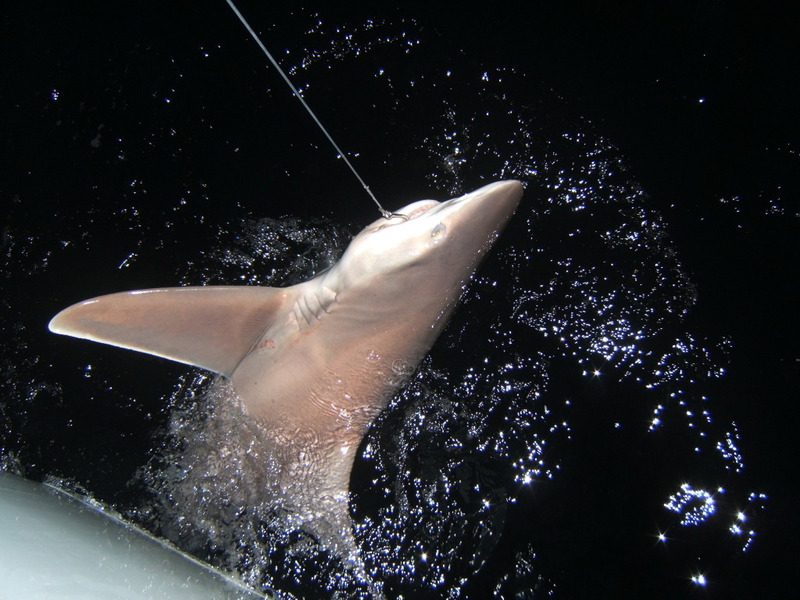 The group was able to haul in 3 rainbow runners, 1 kahala and a sandbar shark which was released after being reeled in. We can’t wait to see you again. Aloha. Check out Captain Mike’s fishing forecast for November in the Hawaii Coastal Angler Magazine. His report can be found on page 22. Check back in a few weeks for his December/January forecast. 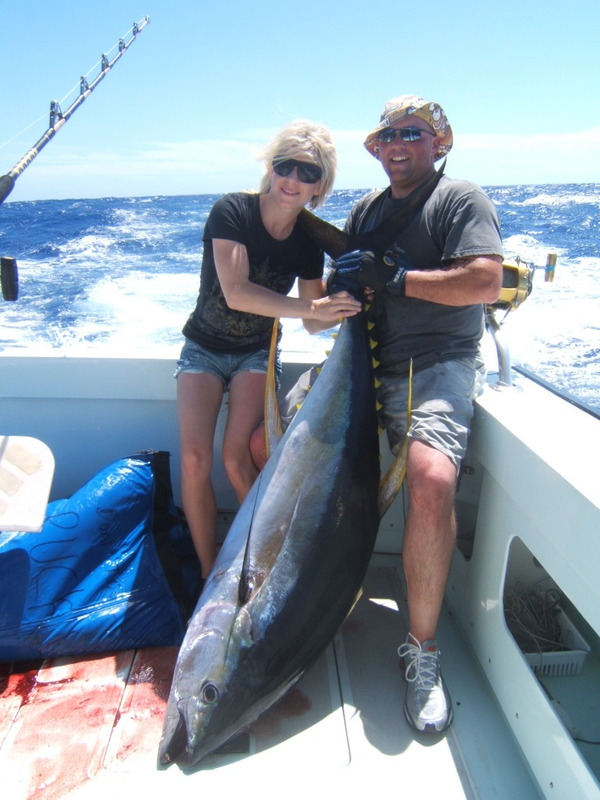 Dane and Danielle Leadbetter caught this 162 lb Ahi with us on the Ruckus. This picture was taken right after they hauled their fish in on the back deck of the boat. We hope you enjoyed your Honolulu, Oahu sportfishing adventure with us here and can’t wait to see you guys again! Also pictured below is a galapagos shark still on the line off the deck of the Ruckus. We enjoyed having the Saunders family with us for some shark fishing and Friday night fireworks.